The VirtualBox repository (contrib) for Ubuntu 11.04 Natty Narwhal has finally been created today. Besides the new Ubuntu 11.04 Natty Narwhal repository, there's also a new version: VirtualBox 4.0.6 which adds support for X.Org Server 1.10 final (for Guest Additions), some Linux Kernel 2.6.39-rc1 fixes as well as a fix for slow Linux guests with recent Kernels. 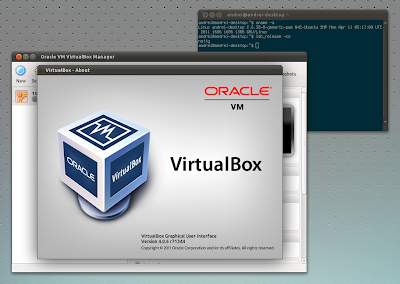 See the complete VirtualBox 4.0.6 changelog. For some additional features like USB 2.0 support, you'll have to install the VirtualBox Extension Pack which you can download from HERE. Once downloaded, double click the Extension Pack and it should open with VirtualBox and you can then easily install it. If that doesn't work for you, Open VirtualBox and go to File > Preferences and on the Extensions tab, click the "add" button on the right (first blue diamond) and browse for the VirtualBox extension pack. If you're not using Ubuntu, you can get VirtualBox from its download page. Thanks to Chimera Revo for the news!